Jaipur, March 9: As the tensions are deescalating between Indian and Pakistan, a Pakistani drone attempted to enter the Indian territory across the Rajasthan border but returned back after its detection by BSF (Border Security Force), who tried to shoot the aerial object down, the BSF said to IANS. 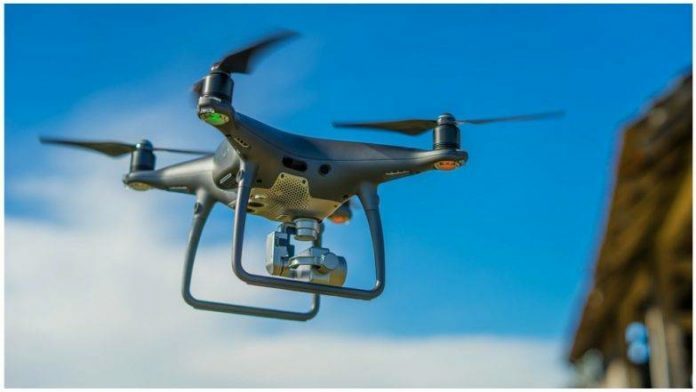 Earlier in the day, a similar drone tried to enter Indian territory at 5 am at Hindumalkot border near Sriganganagar, but the drone had to take u-turn as it was sighted by troopers who started firing. Villagers living in the nearby areas also heard heavy firing. On Monday, the Indian Air Force (IAF) shot down the neighbouring country’s drone at the Bikaner Nal sector area with Sukhoi 30MKI fighter jet. Meanwhile, on Friday, Pakistan violated ceasefire in Shahpur and Kerni sectors of Jammu and Kashmir’s Poonch district at. Pakistan, around 6 pm yesterday, initiated the unprovoked firing of small arms and heavy mortars shelling, to which Indian Army retaliated effectively. In the firing, one Special Police officer (SPO) of Jammu and Kashmir Police was injured. Next articleIndia calls upon international community for decisive action against terrorist groups.